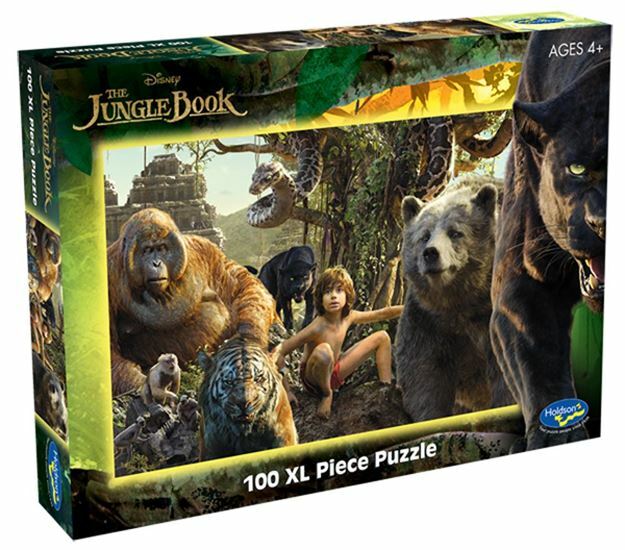 Taken straight from the Disney hit movie "The Jungle Book", this Holdson 100pc extra large puzzle brings together the main characters brilliantly! Age 3+ years. Made in New Zealand by Holdson. Approximate puzzle dimension: 493mm x 688mm. Box size: 270mm x 370mm.